Content marketing Institute’s founder Joe Pulizzi does a yearly round-up of influencers’ prediction for content marketing collecting thoughts from various industry influencers. I was honored to contribute last year and here’s what I had in mind. The show stopper for SMBs was the lack of a clear ROI equation: while big brands can spend big budgets exploring and learning, SMBs need return fast. As we like to say, it’s ROI or RIP for the rest of us entrepreneurs and small team members. But this bottleneck was about to disappear: thanks to better methodology, technology and software, marketers now have the needs to prove and improve the ROI of content. 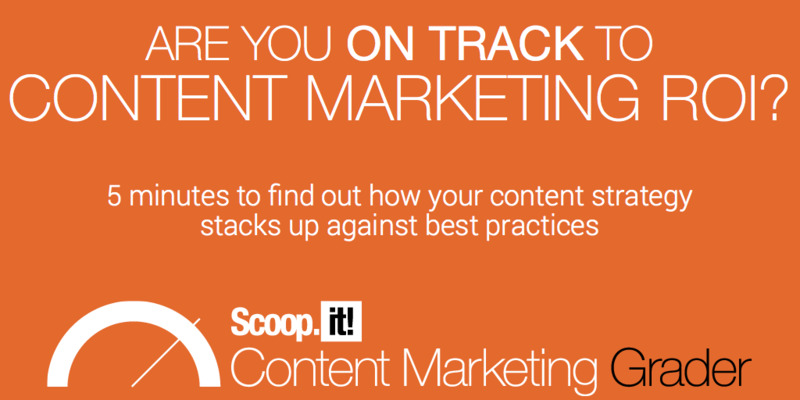 Paving the way for greater content marketing adoption by SMBs. 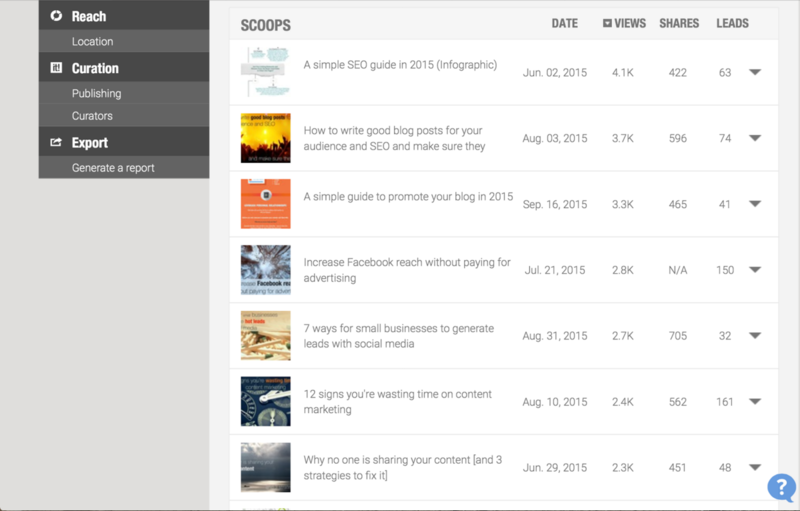 Of course, I didn’t mean this as a passive observation: at Scoop.it we were already busy building Scoop.it Content Director, our integrated content marketing software for small marketing teams, as a solution to the above problems. And beyond software, several consultants, agencies or influencers we talk to had seen similar trends and developed content or practices around that same topic. But so one year down the road, it’s time to ask ourselves: where do we stand on this? Is content marketing ROI clear yet? 44% of yes means 56% of no / unsure so we can be a little optimistic and say we’re halfway there (which also means there’s a long way to go). Can content marketing ROI be measured now? While clarity on success is not universal yet, the measurement aspect has changed dramatically this year. While it wasn’t possible or easy to do so before, you now have analytics and tracking tools to attribute key performance indicators such as lead generation to individual pieces of content. This level of granularity is essential as it enables marketers to really understand what works and what doesn’t for each piece of content they have: not just through vanity metrics but with KPI’s that matter to their own boss and their C-levels. Content marketers can now demonstrate the impact they have on lead generation which is a game-changer for B2B small/mid-size companies. 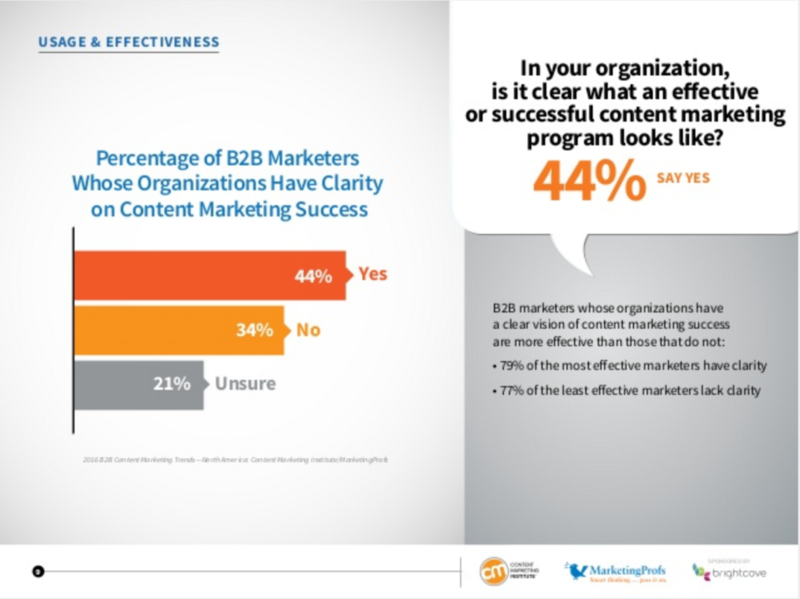 Have SMBs embraced content marketing massively yet? So what are your own predictions for content marketing 2016?